The Pelamis is a marine snake floating in the Atlantic Ocean. The snake uses the motion of waves to produce electricity. The machine consists in a semi-sumergid, articulated structure composed of cylindrical sections. the sections are linked by hinged joints. When a wave make the sections flex and bend the machine generate electricity. 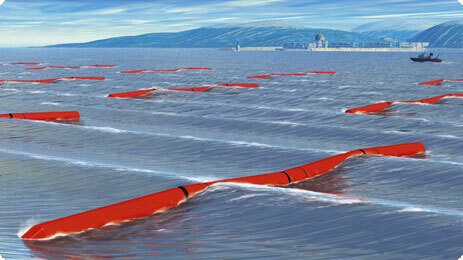 The Pelamis became the first wave machine device generating electricity from offshore surface waves.